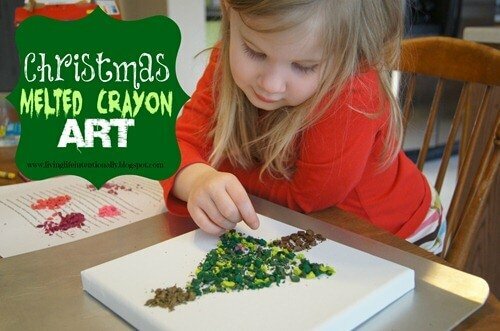 This Christmas Tree Crayon Melting is such a fun, clever Christmas craft for kids of all ages. 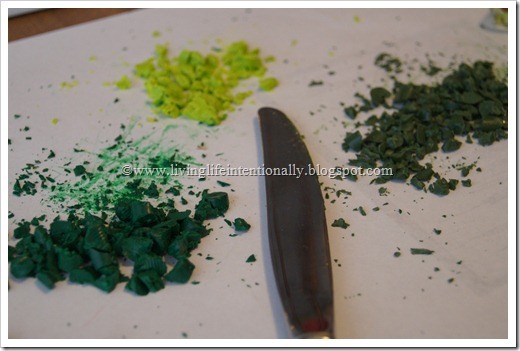 It is such a unique melted crayon project that uses the oven and it perfect for using up broken crayons. Christmas Posts You Don’t want to Miss! 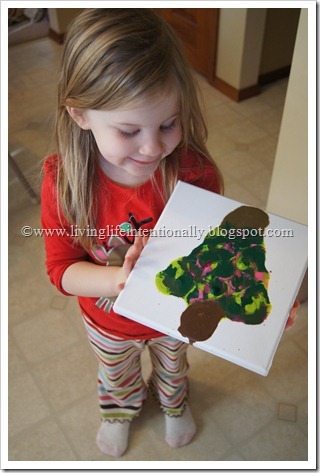 We LOVE melting crayons to make art at our house! So we took crayons (pieces really) and chopped them up. 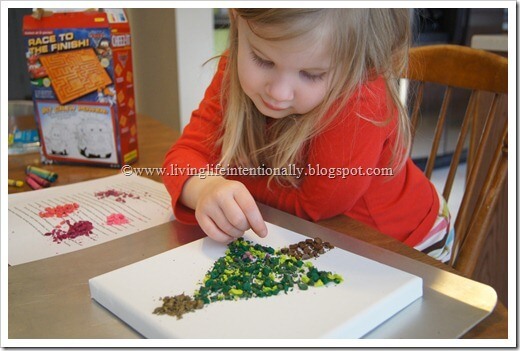 Minnie put the different pieces on a small canvas to make a Christmas tree. 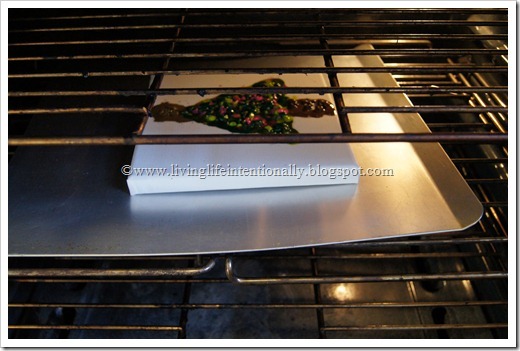 I put the canvas on a cookie sheet and put in a preheated at 250 F for just 30 seconds. What is your favorite thing you’ve made with crayons?